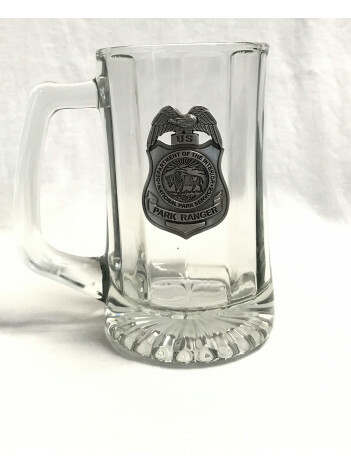 BEER STEIN WITH SOLID PEWTER NPS RANGER BADGE MOUNTED ON FRONT. THIS IS A HIGH QUALITY MUG. IT WOULD MAKE A GREAT GIFT.